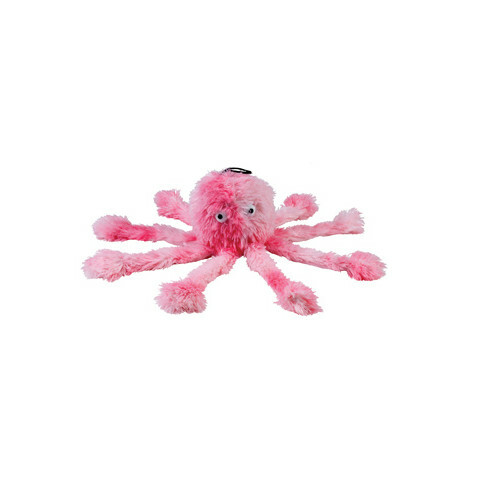 These cheeky toys hide a number of delights to keep your dog entertained for hours - legs are perfect for shaking and flapping while the head and boggle eyes provide a perfect carry point. Dogs just love to explore the sounds and shapes of this unique toy - they crinkle, scrumple, honk and squeak. These Cuddle Soft toys come in three gorgeous colours and three sizes to suit most breeds and are made from the softest furry fabric with a plush underside and filled with hollow fibre.